The Kirby G6 vacuum cleaner is sold door-to-door — high pressure sales. My husband liked how it picked up added dirt our old vacuum didn’t. They use only a cloth, which allows lots of suction. When you put on the HEPA bags, you loose lots of suction. The unit is extremely heavy, for a senior citizen, it is not usable. The company closed their local office and couldn’t get more bags. Was so unhappy with it, bought a Dyson, which worked much better, plus no expensive bags. Would recommend to anyone thinking about buying a Kirby G6, FORGET IT! Just bought a Rainbow and it is absolutely fantastic. With the Rainmist, it has removed most of the allergens in our house and we both feel 100% better. Highly recommend the Rainbow. It’s expensive, but you can save a lot of money by getting it on eBay. Taking Advantage of an Elderly Woman: My mother just bought a vacuum cleaner from a door to door salesman. In fact, I think two men came to her door. She is 93 years old and has dementia. This should tell you something. Since Kirby’s are sold door to door I am pretty certain that is what she bought and paid a hefty $1500 for it. This is ridiculous and these men should be ashamed of themselves. I found this out from her good neighbors next door. Do more research: I’d like to say that the Rainbow is a water filtration system. Allergens aren’t water soluble, which means 100% of them can’t be filtered. This is why China banished Rainbow Vacuums in 1999. 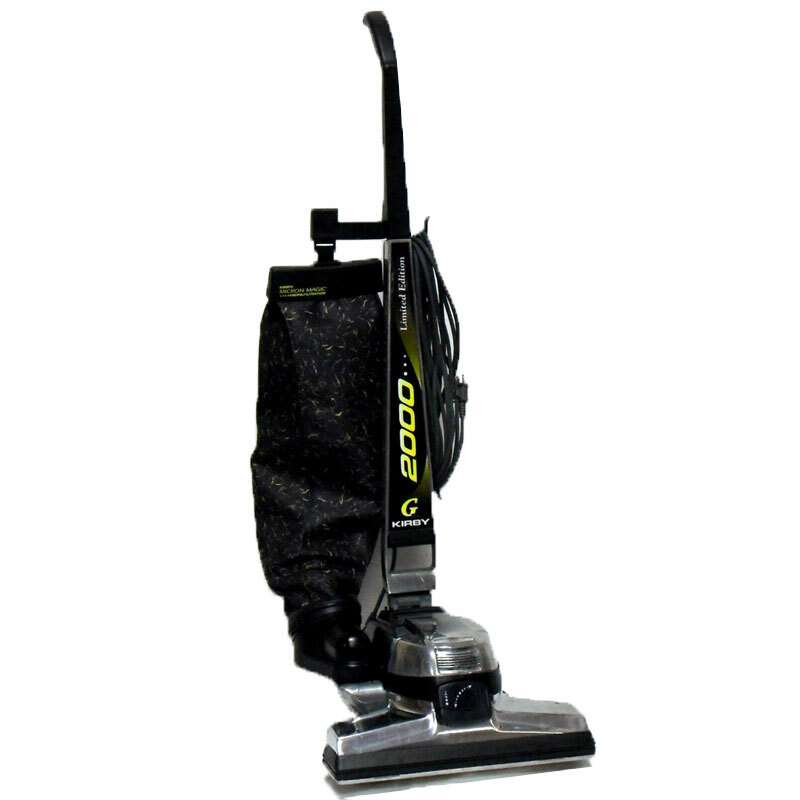 There is no other vacuum that compares to the Kirby GSix. It really does clean a carpet unlike any other vacuum cleaner that I have used. The Kirby G6 literally has so much suction it pulls my carpet up off the floor when I use it. You don’t even lose suction unlike other vacuum cleaners. I did buy a $60.00 cheap small vacuum to use in smaller parts of the other side of my house just so I did not have to get out my heavier, sturdier Kirby G6, and it only made it for 1 year and I had to use the Kirby to clean up the what the other vacuum would not pick up. It really reminded me how wonderful my vacuum is! I will never buy another one again. Kirby G6 Vacuum: I bought my Kirby G6 vacuum cleaner in the spring of 2000. I have never regretted the purchase even though it cost more than my first car. With two children and a menagerie of animals over the years, Kirby has saved my carpets more than once. Recently, I noticed a loss of suction and some strange odors coming from it. I found an authorized service center and asked questions. They recommend that the Kirby be serviced every 2 1/2 years. I had never done that so I took it in to have serviced. The repairs cost about $165 but included several new parts. Getting ready to shampoo again now that all of the male pets have been neutered and marking behaviors are a thing of the past. I know from experience that discoloration and odors will be gone. Looking forward to many more years of reliable service from my Kirby G6 vacuum. Side notes: In the ten years prior to purchasing my Kirby, I owned at least four different vacuums. Adding up those costs, the shampooer rentals, and the poor performance, I can’t say that I overpaid for the Kirby G6. I also noticed that reviews are discussing the sales tactics and issues with the sales people. I find this to be unrelated to the quality of the vacuum cleaner itself. You may not like a car salesman either but you don’t hold it against the car company. Kirby G-Six: You don’t know Kirby. I had a g-6 in 1997 and I still have it today. I had a stroke and couldn’t use other vacuums but the kirby has power assist so I could use it with ease. Since 1997 I’ve vacuumed and blown leaves off the yard, shampoo carpet, and even painted my deck with it and in 17 years has never broken down and the Dyson, my nephew has one and he ask to borrow mine (I wouldn’t have one). It takes almost 1 year to fill up the kirby bag, yet using one of the other LIGHTER/ BAGLESS models, it fills up right away even using RIGHT AFTER the Kirby..! These Kirbys are VERY expensive and are SO HEAVY they are not recommended for the old, weak, injured.. In which my mom was old & weak, and I was injured thru hernia, so it was VERY difficult & PAINFUL for me to use this during recovery of my hernia surgery…! Thanks for the inherited vacuum. but I’ll sell this Kirby G6 and purchase a $100 model that works and is NOT so damn Heavy…!